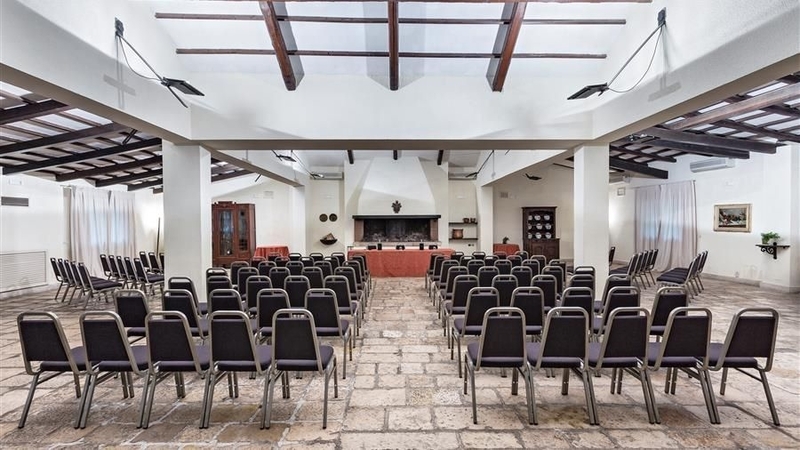 The 4th ICEM will be held in the beautiful Villa Romanazzi in Bari, a captivating city on the Adriatic coast of Southern Italy. 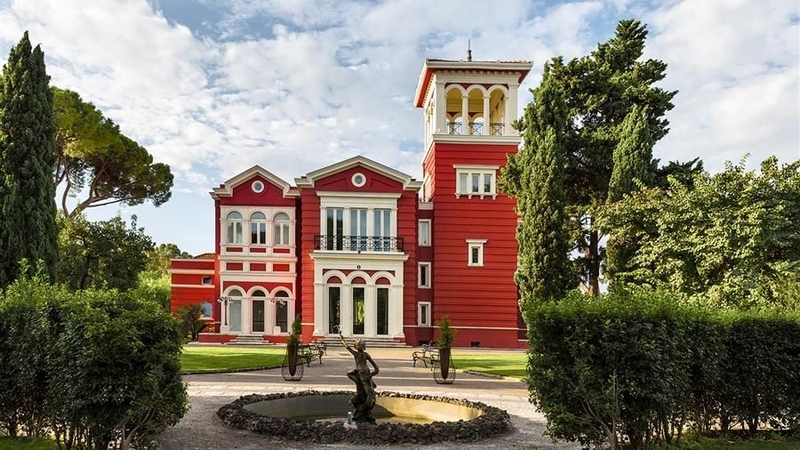 Villa Romanazzi is a liberty style villa immersed in nature enclosed by a secular garden of aromatic trees and elegant surroundings, with balustrades, statues, and fountains. 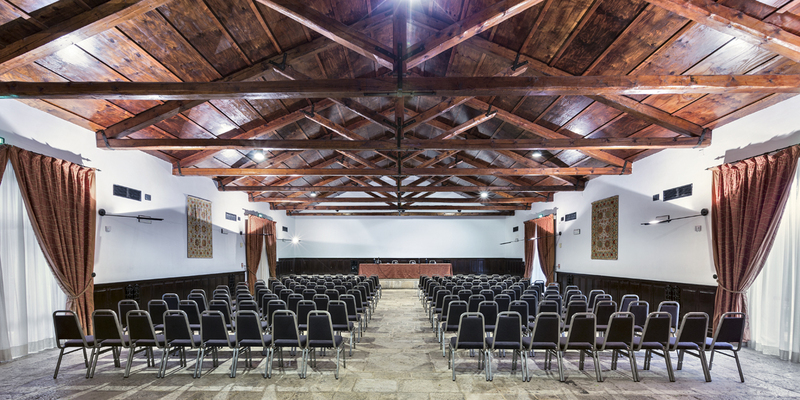 The villa perfectly harmonizes the ancient and the modern, providing a structure unique in its kind that will suit and welcome all the ICEM 2017 participants. The hotel is within easy reach from the city centre, the train station and airport shuttle. We are offering to the ICEM delegates who register now, a free food tasting and guided tour of the beautiful city of Bari. Our guide, Giovanni, will take you on a walk for two hours, showing you the gems of the city. Starting from Castello Svevo, you will stroll around the medieval neighborhoods and marvel at the city’s monuments. 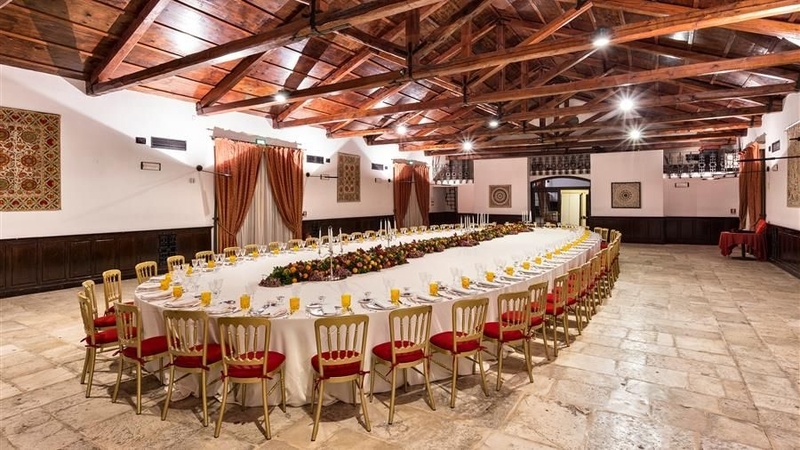 But it’s not just about architecture: you will have the chance to see the making of orecchiette (small ears), the typical Apulian pasta, and to taste the famous focaccia in one of the oldest and most famous kilns in the city! Make sure you are part of this little treat during the conference! You can reserve your space on either Wednesday 28 June from 9am to 11pm or Thursday 29 June from 17:30pm to 19:30pm. Bari Palese airport, otherwise known as Karol Wojtyla Airport, is 9 km away from the center of Bari. The airport is well connected with Rome, Milan, and with many other cities in Italy and Europe, offering several daily connections. Shuttle Bus – available from Bari airport to Bari central train station (Bari Centrale). Journey time 25/30 minutes. Tickets are sold onboard only. The cost is €4,15. The shuttle bus timetable is available here. Train – take the new train from the airport to Bari Central Station and exit at “Bari-Quintino Sella” stop. Train tickets from the airport are €5 and can be bought online here or at the airport. The journey will take around 15 minutes. From the train station, you can either walk or get a taxi to the conference venue. More information under the train section. 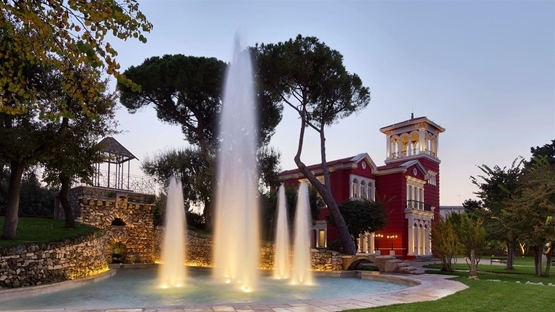 Taxi – taxi rides from the airport to Villa Romanazzi are available at a flat rate of €25 (at the time of writing). Please note that passengers have to advise the driver that they want to benefit from the flat rate when getting in the taxi. The flat rate is independent of the number of passengers and includes any possible surcharge. Multiple destinations are not allowed with this flat rate. 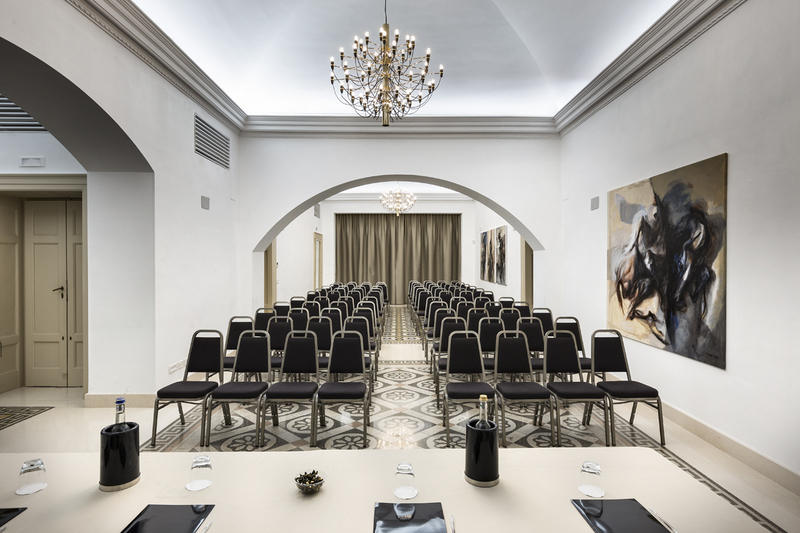 The central train station is located in downtown Bari, at 700 meters from Hotel Villa Romanazzi Carducci. Several direct trains, including fast trains such as Frecciarossa and Frecciargento, connect Bari to Rome and Milan and to many other cities. Times and fares are available here. Taxis are available at the station exit for a flat rate of €8,00 (at the time of writing). Note to always advise the taxi driver if you want to use the flat rate. If you want to walk, take the underpass toward “via Capruzzi” exit. Keep right and go straight on via Capruzzi for about 700 meters, till you see the Hotel Villa Romanazzi Carducci entrance on the left side of the road. Bari is an exit of highway A14. Highways A14 and A16 connect Bari to Rome (about 4 hours driving); highways A14 and A1 connect Bari to Milan (about 8 hours driving). Take BARI NORD exit to E55 direction Bari Centro/Porto/Brindisi. Go straight on E55. Keep the right at the crossroads following the directions for Bari Centro/Brindisi and entering SS16. Take EXIT 11 to Bari-Poggiofranco and then the second exit to CENTRE/PORT. At the end of G. Tatarella street turn right (first exit of the traffic circle) and after 100 m turn left. Follow Via Cifarelli for 1 km getting on Via Capruzzi and finding the hotel entrance on the right. Take exit BARI SUD to enter SS271 to Bari. Enter SS16 through the crossroads to Brindisi/Taranto. Take EXIT 11 to Bari-Poggiofranco and then the second exit to Centro/Porto. At the end of G. Tatarella street turn right (first exit of the traffic circle) and after 100 m turn left. Follow Via Cifarelli for 1 km getting on Via Capruzzi and finding the hotel entrance on the right. 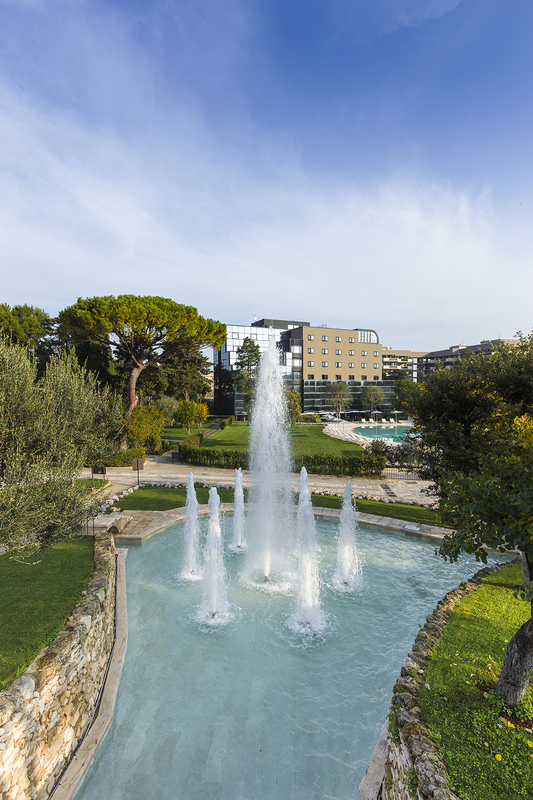 All ICEM 2017 attendees can park their car at the Hotel Villa Romanazzi Carducci for free. 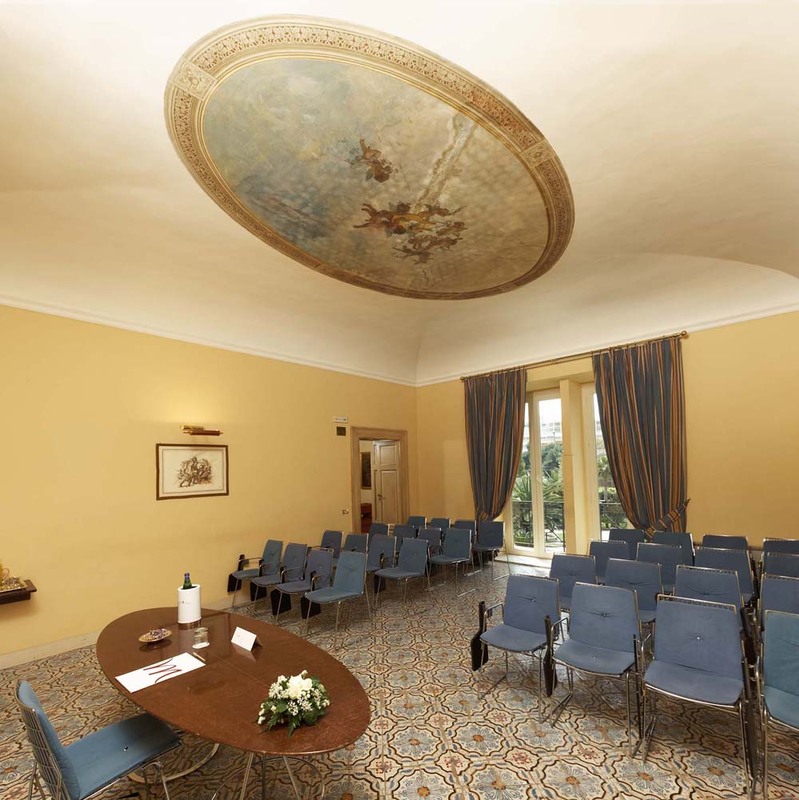 Villa Romanazzi Carducci, with its lovely atmosphere, provides the right place for ICEM attendees to interact and work together. The ICEM secretariat has negotiated favourable rates for ICEM delegates. If you would like to book a room fill in this booking form and send it to Villa Romanazzi Carducci. Note that since the hotel capacity is smaller than the expected ICEM attendance, it is important to book your room as soon as possible to avoid disappointments. 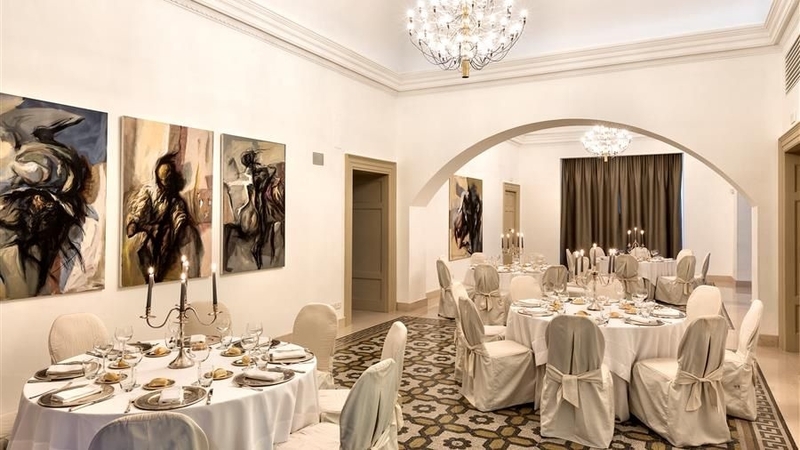 Villa Romanazzi Carducci is immediately outside Bari’s city center, North of the central train station. There are a number of hotels nearby, and mainly in the city center. A list of options may be published on this page in the near future; in the meantime, we encourage you to use standard accommodation search engines. When booking, remember that June is considered high season in Bari. 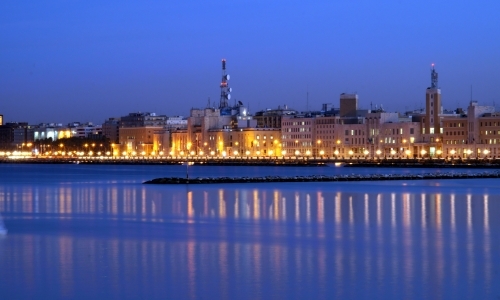 Bari, the capital town of Apulia, lies on the Adriatic coast. The town has the shape of a bird with open wings, whose head forms the nucleus of Bari Vecchia, the old town. Throughout the years it has been under the power of Arabs, Longobards, Bizantines and Saracens. Alberobello is a UNESCO site, renowned for the iconic Trulli, a traditional stone building, invented in the 15th century to avoid paying taxes to the King. 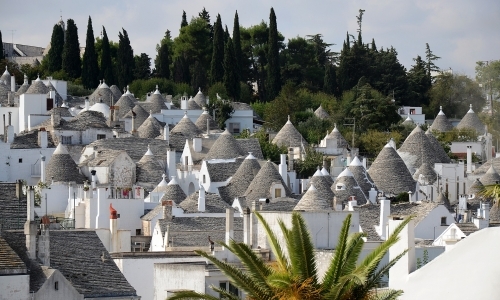 The Trulli, with their distinctive cone-shaped roof, are unique to the Itria valley in Italy and were built using no mortar. 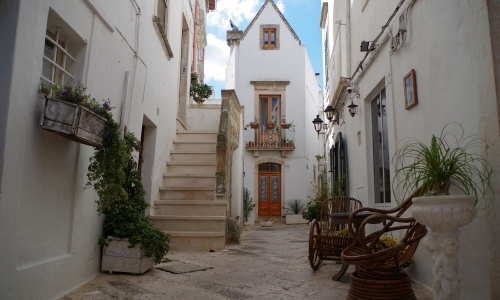 An important cultural centre in Salento, the charming Ostuni is known as the “white city” because of the characteristic white walls of all the houses in the old city. The stark white is broken up by the historical architecture, which stands out from its candid surroundings. This town rises at the junction of three provinces: Bari, Taranto and Brindisi. 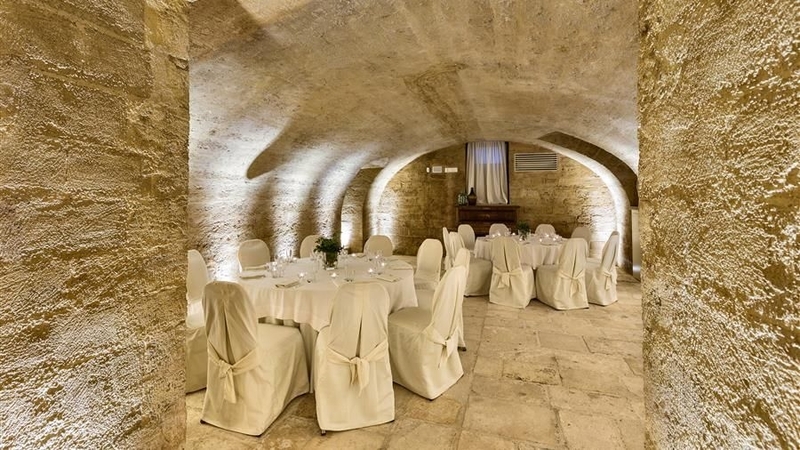 It is placed in the Itria Valley, on a tableland 410m above sea level at the south-eastern side of Murge dei Trulli. 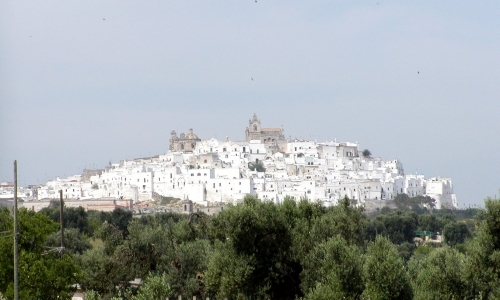 Locorotondo was probably founded by Greek settlers several centuries before Christ. 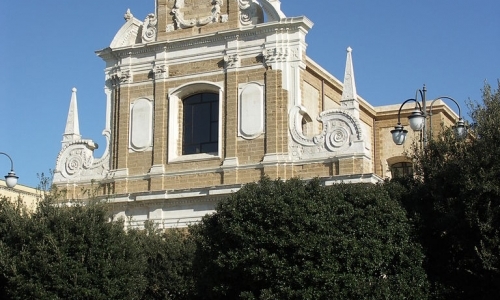 Brindisi has been known as the «Gateway to the East» since ancient times when it became an important port which even today provides important travel connections to and from a long list of sea and airports. 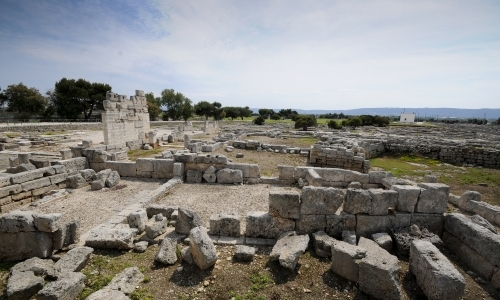 Egnazia was an ancient city of the Messapi, and their frontier town towards the Salentini. It is located near the modern Fasano and its first settlement dates back to the 15th century B.C., in the Bronze Age.